If you are looking for something interesting to do this holiday season, take a ride to the Stillwater El Dorado Music Barn. The music venue celebrated its grand opening in October, and due to the overwhelming response, they are excited to host another show on Saturday, Dec. 1. Singer/songwriter Ben Stillwater, his wife, Heather, and their four children have created a classic music destination at their family farm east of Osseo. Based on an old-fashioned concept, the Stillwater El Dorado Music Barn was created to capture the essence of live music entertainment and create an experience reminiscent of the Grand Ole Opry. Stillwater has been in the music industry for more than 10 years as a professional songwriter and record producer. He is a fourth-generation logger who grew up running sawmills and cutting timber in the mountains. At the age of 13 he began playing guitar, and a few years later he started writing and singing songs. With influences like Roy Acuff, Woodie Guthrie, and Roy Orbison, he has written eight albums. About seven years ago, he began working with duet partner Cyndee Jean. Ben and Cyndee’s story began when they met while performing in separate bands at the same venue. Shortly after, they started rehearsing and performing together. Cyndee describes her strongest influences as classic country singers such as Patsy Cline, Tammy Wynette, and Loretta Lynn. Together with their seven-piece band, they spent years traveling and playing shows from West Virginia to Nova Scotia; now they’re getting audiences in the Chippewa Valley in a hootin’ and hollerin’ mood. “When the audience responds to what you’re doing, that’s the best payoff,” Stillwater said. 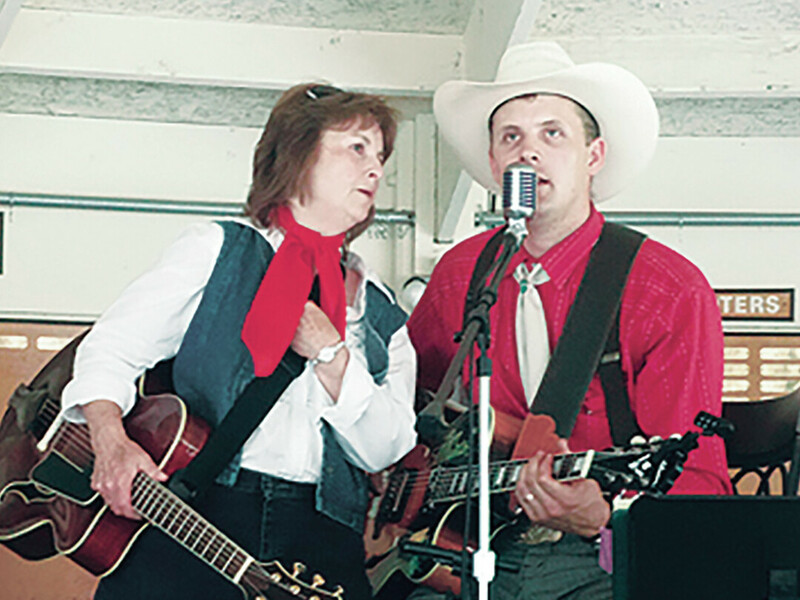 With the rural setting, the combination of performing arts and a stage show that includes cowboys and cowgirls, fire, saddles, and songs, guests can enjoy a trip into the past while being treated to a unique and authentic afternoon of music. Learn more at facebook.com/benstillwater.